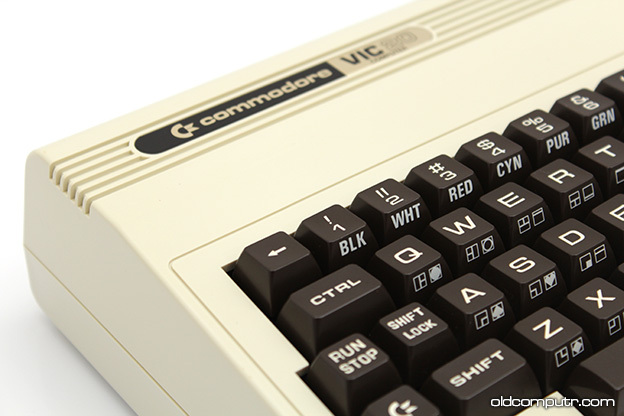 This VIC 20 was one of the first shipped in a rush from Japan to North America in early 1981 before production started in the US. 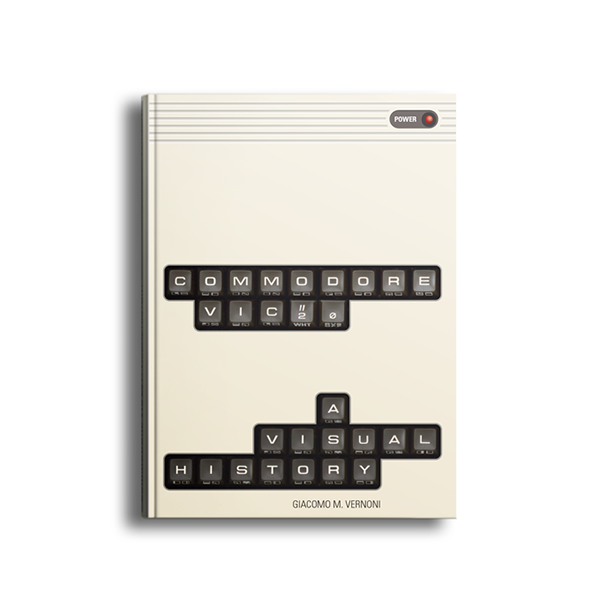 Even the box art was just a quick rework of the Japanese VIC 1001 one. 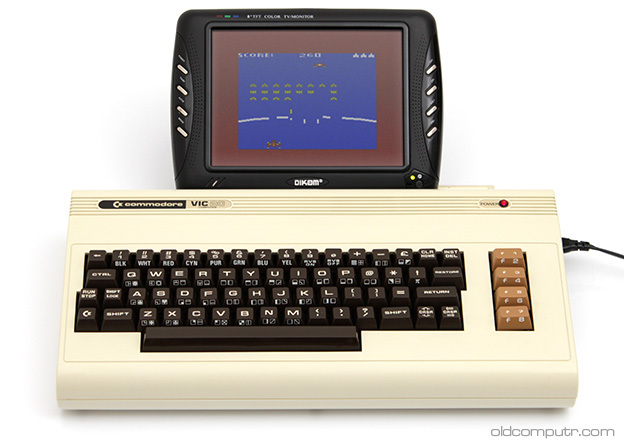 In January, just after the CES Show, there was enormous pressure on us and on me in particular to launch the VIC 20 immediately. The first few thousand units were coming over from Japan in plain blue and white boxes. This unit was built in April 1981. 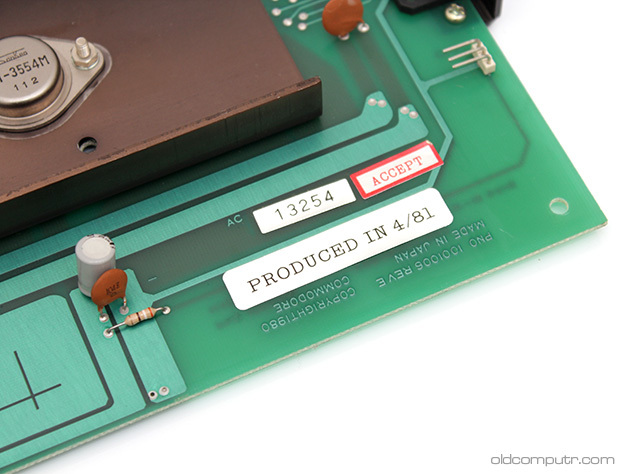 The production date is printed on a label on the motherboard. I have the original box, though not in very good condition. After the initial sales, the shape of the box was changed for the North American market; it was retained in Europe. 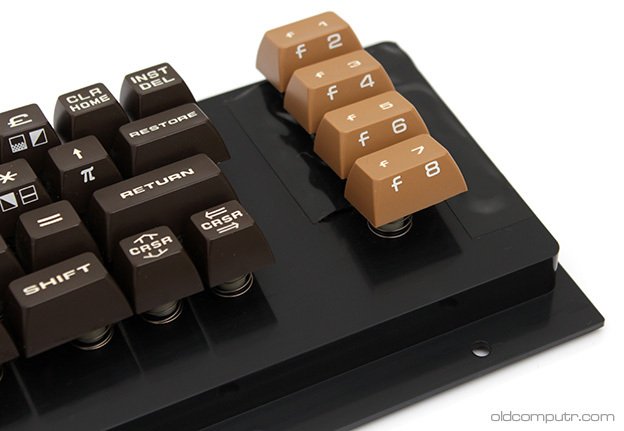 When I took the keyboard apart, I realized that its PET derivation involved more than the shape of the keys and the font being used: the function keys are positioned in place of the PET numeric keypad, and the unused key holes are covered with black duct tape. 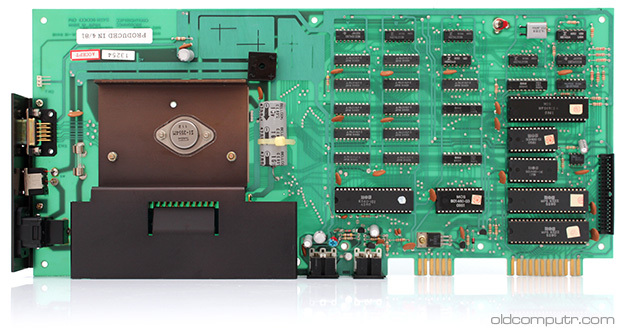 The power supply can be opened with a screwdriver and outputs one voltage only. 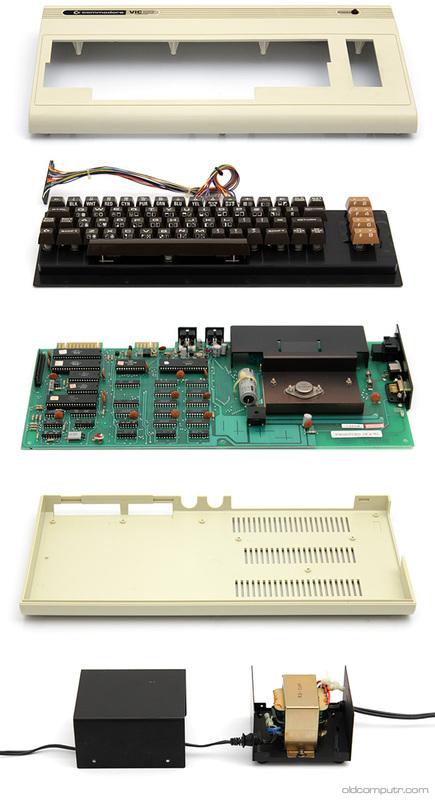 The motherboard is almost the same as the VIC 1001 one. 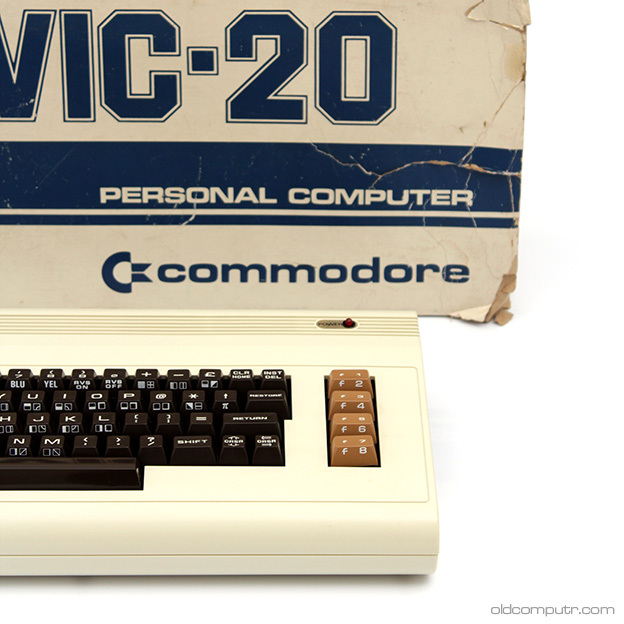 Hello I recently found one of these first Vic 20s in its original blue and white box and I believe it has an earlier date than yours though I can’t find much about these early ones except yours photographed here. Any idea what this would be worth?